Continuing my beliefs that a car is there to be used, is there any planned mass gatherings for those of us that own/drive a beta/montecarlo for this year? 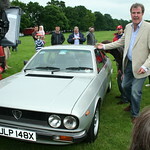 Other than the Autoitalia events, a few of us regularly attend. I only ask, as I received an email out of the blue from Kilver Court, which I contacted last year about a similar matter and are basically offering the use of the viaduct to park on for a cost of £2. Quite an impressive viaduct offering more than enough parking you’d ever want and plenty of space to experiment for those of us that like to take some pictures. Kilver Court gardens are next to it, at £4.50/Adult for entry, with a farm shop and cafe just round the corner. With it being relatively close to sparkford as well, this could be possibly combined with the retro rides show which we had quite a good turnout of beta’s at? Convoy via some driving roads? I think a national meet is a great idea but a more central location would be preferable for many of us from the North. Any ideas anyone? Sounds good to me! and assuming that when you say "Beta" you are including Trevis (they are Betas, honest! ) then I'd be up for a Mega-Beta meet. 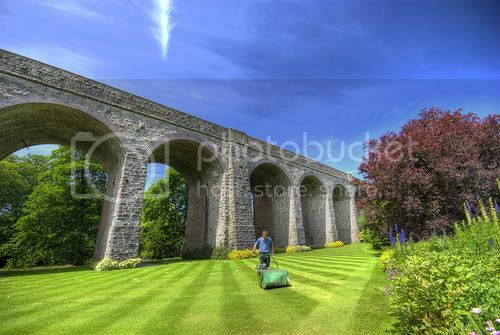 Kilver Court Viaduct and gardens look like an excellent venue although not ideally located for the Northern boys. The date were going with is Saturday 7th of August, which is currently available, but a deposit of £25 is required to secure the date and would give us full use of the viaduct. 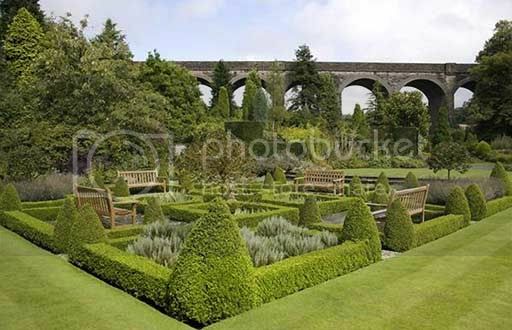 It would be £2 per car to park on the viaduct and upto yourselves if you want to visit the gardens at extra cost. The Retro Rides show situated at Sparkford motor museum is near by and is on the next day, Sunday 8th of August, well worth going along to! Why not make a weekend of it Camping is available on site at sparkford over the weekend, Tony knows more details on this as I believe he did the whole weekend last year. All Lancia's are more than welcome, but the initial idea is to get as many beta's/monte's/trevi's together as we can then probably open it up to the other lancia clubs to join in and tag along. Maybe it's the perfect date to have your beta finished and on the road by? Go on, put your name down! Need to check with "handbag control" as we are going on holiday in August at some point and I cant remember whats going on any further than a month ahead! But I'll suss it out and post up one or the other. Voting in for the title? anyone into 70's 80's car will love the Retro Rides event, camping on the Friday and Saturday nights were a blast, with the main show on the Sunday. Just an update... I've been in contact with Kilver Court, and they have said the dates officially ours So were on! I will be paying the deposit this saturday, as i'll be driving past, and they will refund me it when we all turn up on the day, bit strange circumstances, but there we go. All I need to do is let them know a rough figure of numbers turning up when we've got a better idea, and everyone arrive on the day. Once next weekends out of the way, i'll spread the word so other lancia owners will be aware of the event. 8 of us isn't a bad start, but i'm sure we could make it 20+! There's 358 betaboyz members on the forum worldwide, with the majority being UK members, so why not. If you want to donate anything then thats upto you, PM sent. But wasn't/isn't expecting anything towards it, as the deposit will be refunded to me (hopefully) on the day, the only cost will be £2 per car on the day to Kilver Court. Only cost to me other than the odd email, is fuel to drop the deposit off on saturday, but i'm going to try and combine this with going down to Mark W's so its no biggy. Deposit has been made, so it's officially on! I had to deal with another member of staff which informed me that previous information regarding the deposit was wrong and that how I expected it to work is now the current situation. I have paid the £25 deposit which is not refundable but will be deducted from the total bill. I.E. 15 cars turn up at £2 per car = £30, £5 will be payable to Kilver Court. Not sure how it'll work out on the day, but I suggest I'll collect all the money, keep £23 and pay the rest to Kilver Court, sound fair? Now it's down to you to put your name down! PM me you email addy for paypal and I'll send you some dosh. hi marcus. add me to your list for kilver court .as an add on perhaps we could include a drive across the Mendips and the famous Cheddar Gorge. the B3134 and B3145 are great driving roads (incidentaly part of the sliding pillar LMC rally this year) it is not so far from Shepton Mallett. any thoughts chaps? Sounds like a plan Jon. I'm yet to look into a route, but if everyone's ok with a decent but not stupidly long drive I think that could be on the cards, otherwise it may just be a somewhat boring journey to sparkford for those camping/staying in the area for retro rides.